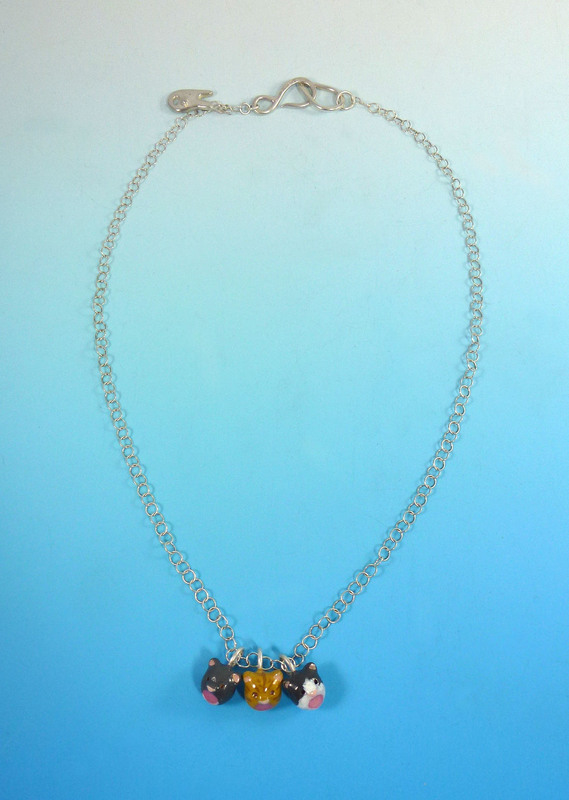 I recently made a silver kitty cat necklace for April of AprilJustinTV and AprilAthena7. She has three little cats, Charlie, Bob and Sunrise, that she adopted from rescue centers and have become a part of her family. April and her husband, Justin, shower their kitties with all the love and affection they could possibly hope for! 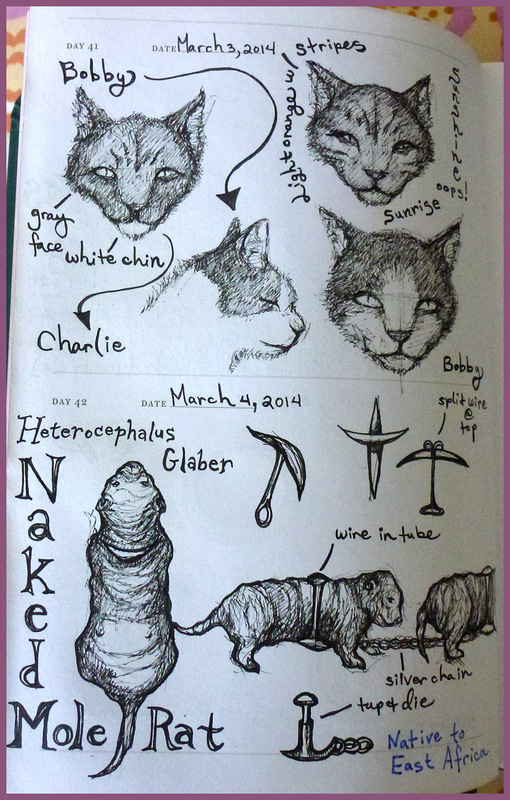 Below are the initial sketches of the cats that I made before I made the necklace. 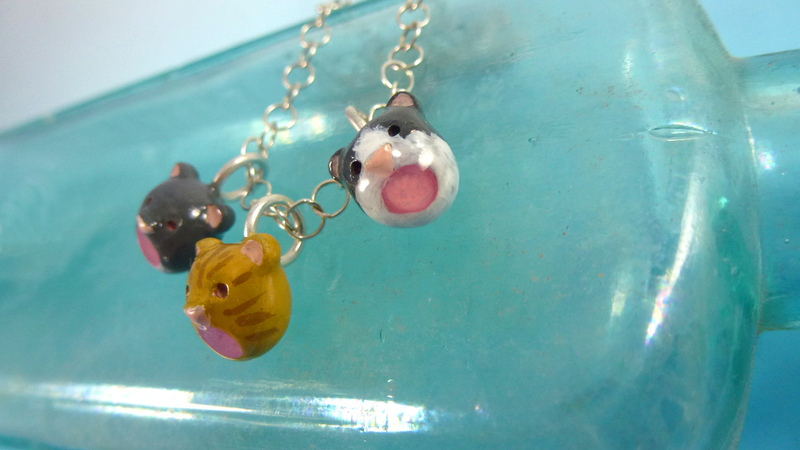 Below are close ups of the three little cat pendants I made. I wanted to make cute, little cartoon versions of April’s kitties. I cast these parts in ancient bronze. Charlie is the gray cat with the tuft of white fur under his chin. Sunrise is the orange tabby cat with stripes. Bob is the kitty that is half gray and half white. Below are is an image of the whole necklace. I fabricated the clasp and charm out of sterling silver. Here is April’s video featuring the kitty necklace I made! She shows the necklace in about 30 seconds into the video. You can even see April wearing the necklace when she and her husband go to a restaurant. April and Justin are such happy, cheerful people! I enjoy watching their channel because they exude such positivity! 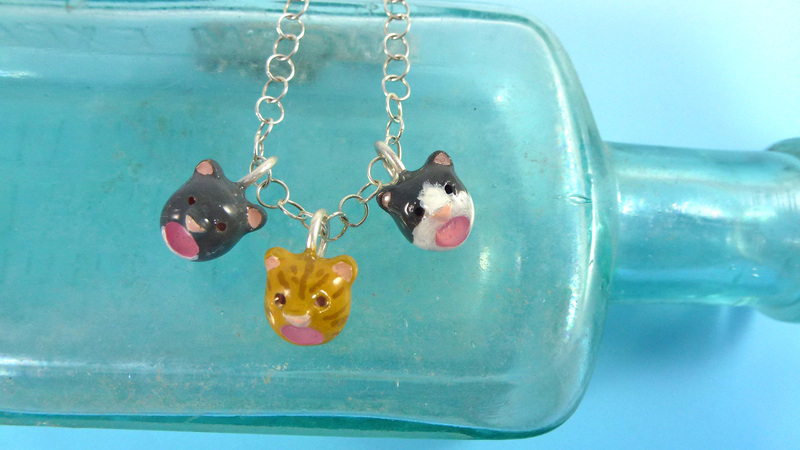 I hope you enjoyed looking at the kitty trio necklace I made! 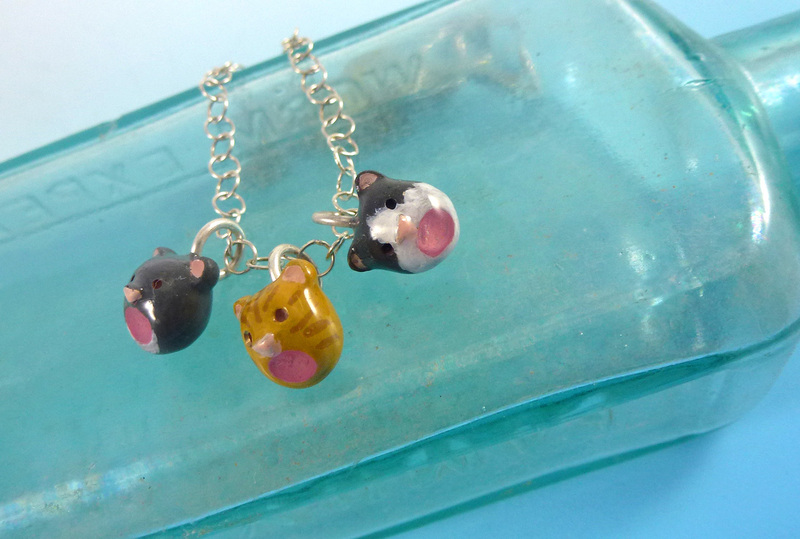 I have much more jewelry and candy posts coming in the near future! I fell under the sickness that was going around last week, but I’m feeling much better today! Thankfully, we are back on track and have sketches to show! Here is week 3 of my Sketch a Day journey. On March 12, I went to my friend, Veronica’s, birthday and housewarming party. Hanging on her wall, she had framed surreal painting of a large cat and a small girl that I loved. I was just barely able to sketch a general outline of the figures and then when I got home I filled in all the details from I could remember. I’m sure I made a few creative embellishments here and there. 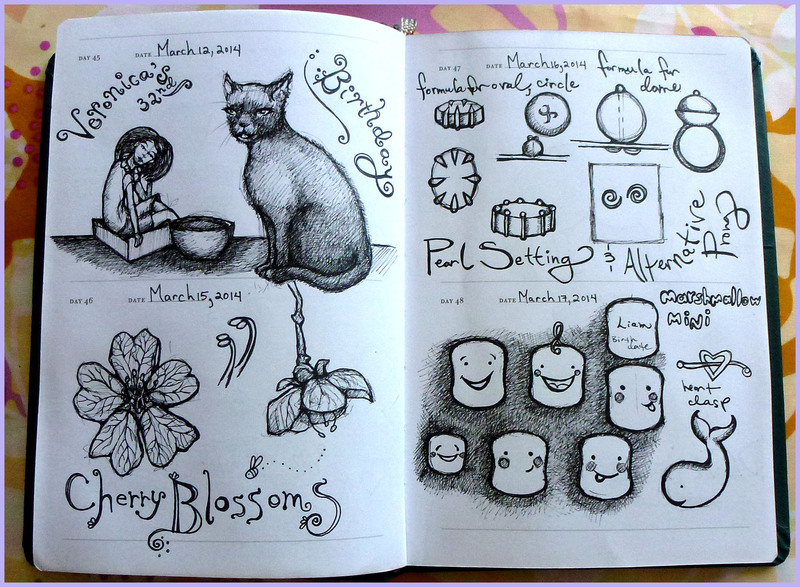 😉 On March 15, I made some sketches of cherry blossoms that I am going to fabricate for an upcoming project. I drew details of the flower to give me a better idea of how I will make this metal. 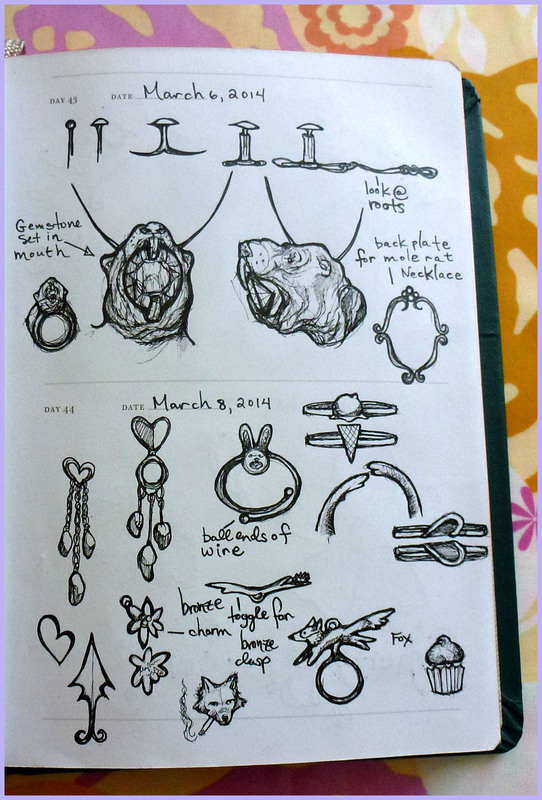 On March 16, I am still sketching out more ideas for my Creative Stone Setting class that I am teaching right now. I have clearly finalized how I will approach future demonstrations for the class. On March 17, is a drawing of another fun piece that I might make for Comic-Con: a cute mini marshmallow character! 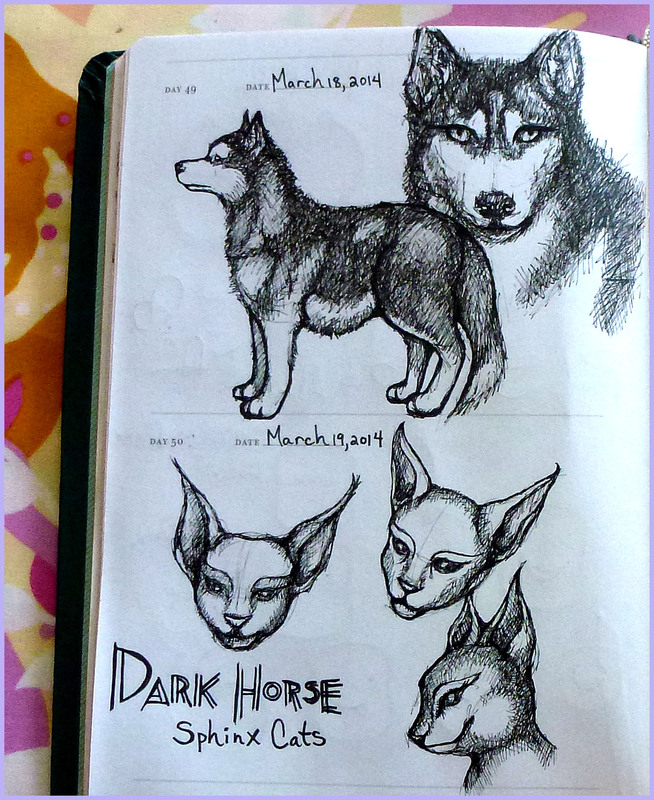 On March 18th, I was sketching a husky for a felt sculpture. 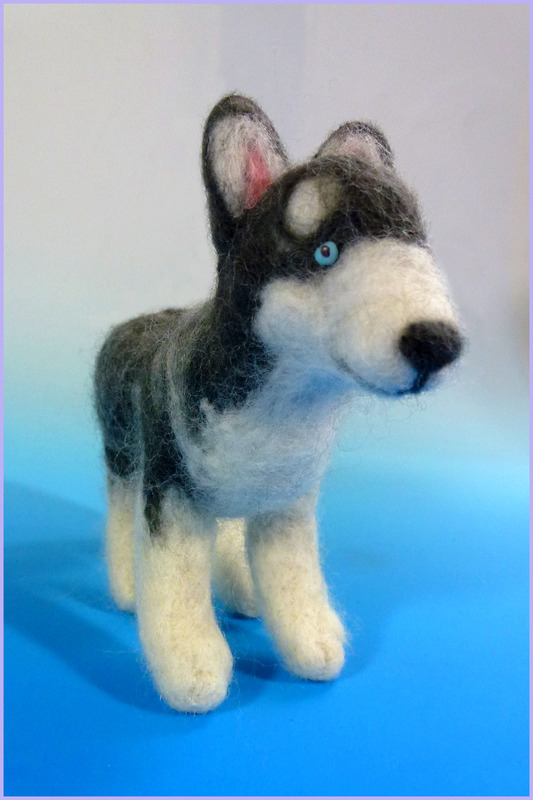 Fortunately, I finished making the little husky and recently delivered it this past weekend. Here is a little peak at what the finished project looked like! My last entry for the week was on March 19. I was watching Katy Perry’s “Dark Horse” music video and fell in love with the sphinx cat head masks that her back up dancers were wearing. These sketches were inspired by the masks and I drew the heads from multiple angles. I’ve always found sphinx cats to be very fascinating to look at, therefore these drawings might evolve someday into a finished jewelry piece. 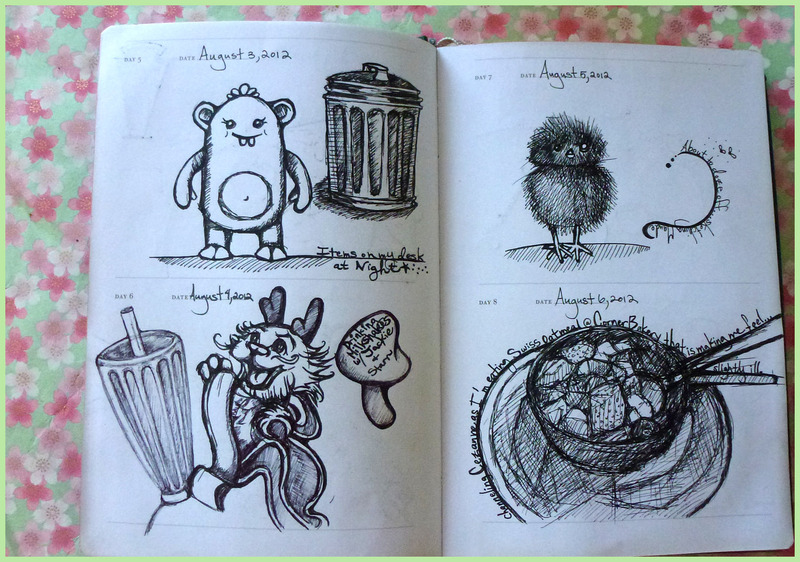 I hope you enjoyed looking at my most recent sketches! If you would like the watch the accompanying video I made of my sketch a day journey you can watch it below! I am so sorry that I am already a week behind! I am still working up towards sketching once a day, but I’m glad that I have definitely been more productive with my drawing than I have been in the past. 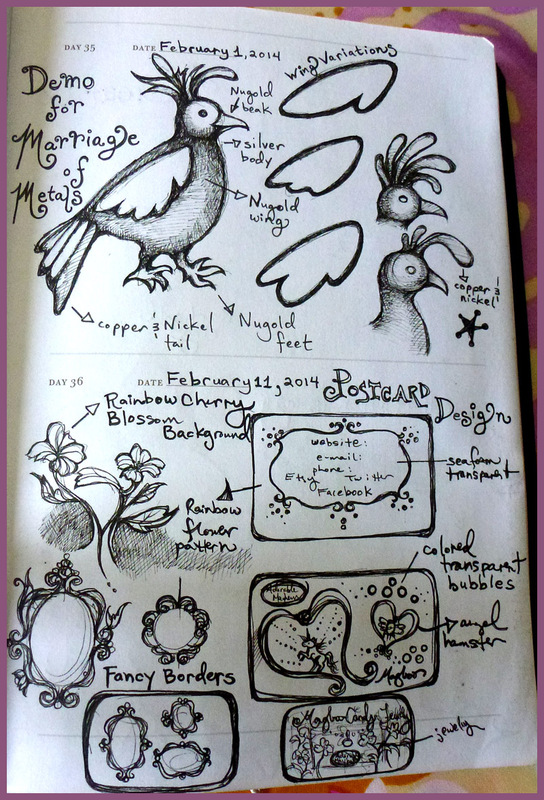 As I mentioned in my last “One Sketch a Day” post, I want to try to use my sketchbook with more purpose. Above, I was sketching possibilities for my last demonstration in my “Marriage of Metals” class that I recently taught at Whaley Studios. Below that, I was also considering updating my business card and postcard designs. I think this will be a big improvement to the current design I have now. Above, I have another entry sketching out demonstrations for my upcoming “Creative Stone Setting” class at Whaley Studios. The following two entries are research for an upcoming long term project. Over the past six months, I have seen several documentaries on bees and was struck by the devastating bee colony collapse disorder that is sweeping across the globe because of current commercial agricultural practices. I look forward to working on this project and I will definitely reveal what I finish in the future! Next, I recently went to Taboo Studios for an art opening that featured some of the work of my past graduate professor, Helen Shirk. If you live in the San Diego area, this gallery is definitely worth taking a look at! It’s certainly the nicest jewelry gallery in San Diego as it features work from small studio jewelers with more innovative designs. Above, is the last grouping of entries. Both are jewelry projects that I am working on. One, obviously, is related to cats and below is a piece that I am revisiting from graduate school. I made a very bizarre necklace of naked mole rats because I found these creatures to be so fascinating despite their not-so-attractive exteriors. I think the revisions that I plan to make on the necklace will be a significant improvement. 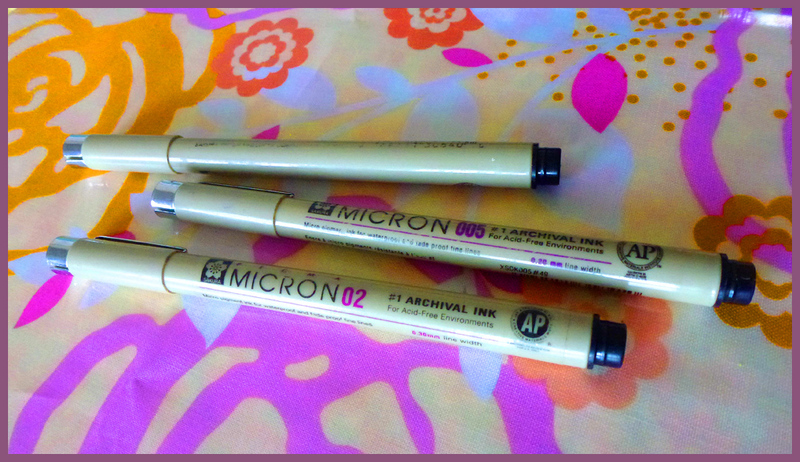 I wanted to include images of the pens that I use to draw with that I mentioned earlier. 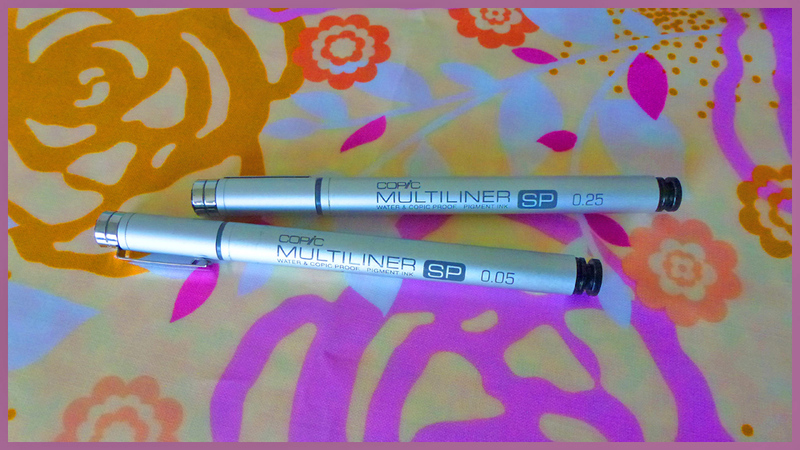 My absolute favorite are the Copic Multiliners. The pen nibs and ink are replaceable. The body of the pen is also more durable because it is made of metal. If you are interested in these you can check them out here. 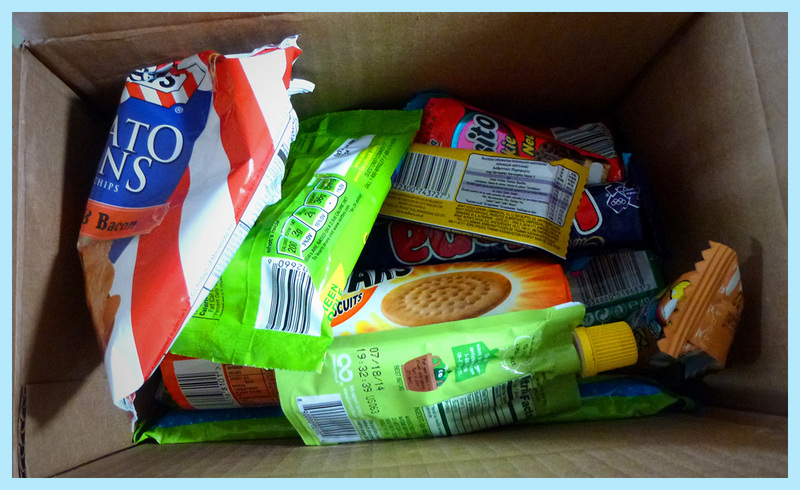 A company called MunchPak recently sent me a package to review their candy/snack subscription service. As I am a reviewer and taster of all things candy, I gladly agreed to test out their product. MunchPak puts together a variety of snacks and candies from around the world and people can subscribe to receive these treats on a monthly basis. I received a decently sized box and opened it with much enthusiasm! 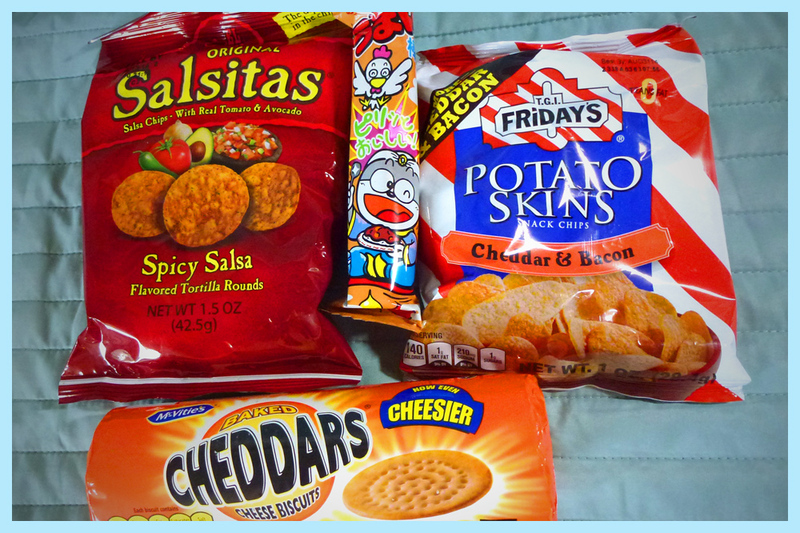 In the box, were snack products from the United Kingdom, United States, Japan and Mexico. Savory snacks: Salsitas, Curry Umaibo Stick, T.G.I. Friday’s Potato Skins, and McVitie’s Chedders cheese biscuits. I will first describe the snacks that I did not like, then spend the latter part of this post focusing on the snacks I did like. I actually enjoyed most of the snacks in this package, with the exception of T.G.I Friday’s Potato Skins, GoGo Squeeze and Salsitas. The Potato Skins were potato chips that were bacon and potato flavored. The chip had a mealy, artificial texture. It was very apparent that it was comprised of potato flakes that were compressed and formed into a chip shape as opposed to being cut directly from a potato. The cheese and smokey flavor was certainly there, however the chips were overly salty. I definitely do not recommend T.G.I. Friday’s Potato Skins. Salsitas by El Sabroso is my last dislike. Salsitas are salsa-flavored tortilla chips. I found the description to be deceptive because the chips tasted nothing like salsa despite having real tomato and avocado flavorings incorporated into the chip. These tortilla chips tasted straight-up like vinegar. Yuck! That is all I could detect in my taste test of Salsitas: vinegar. I disliked these chips the most out of all the products in the box. Despite this, I think having only three products out of thirteen that I didn’t like is pretty good. It is to be expected that not every snack in each package will appeal to everyone. Now on to the fun part! Let’s talk about the snacks I like! 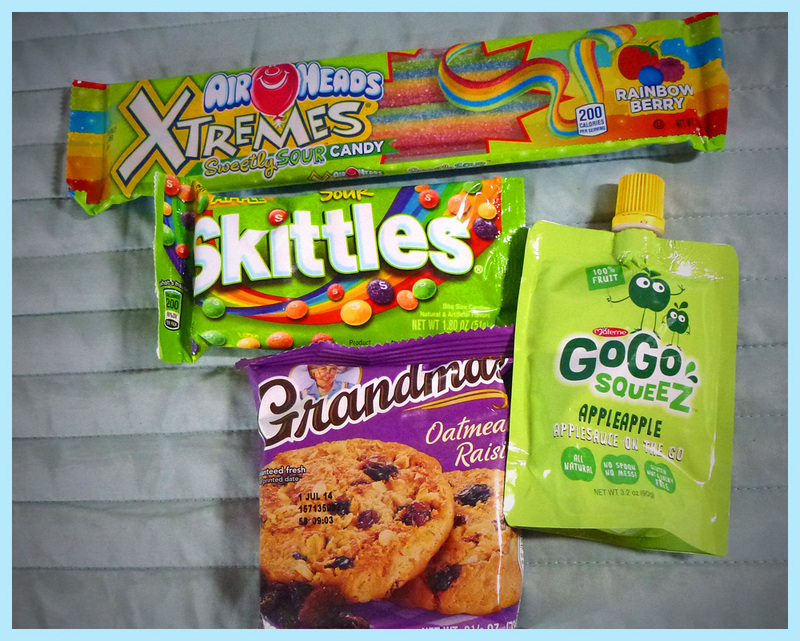 🙂 First off, are the American treats: Grandma’s Oatmeal Raisin Cookie, Sour Skittles and Air Heads Extremes. When I first picked up the Grandma’s cookie I was very skeptical. I was starting to mentally throw it in the trash with all the other terrible, mass-produced cookies like Chips Ahoy. However, when I tasted it I was pleasantly surprised! The cookie had a nice, soft, crumbly texture with notes of cinnamon and nutmeg. I could not have been more wrong! Grandma’s cookie was surprisingly decent for a commercial cookie and I would recommend it. 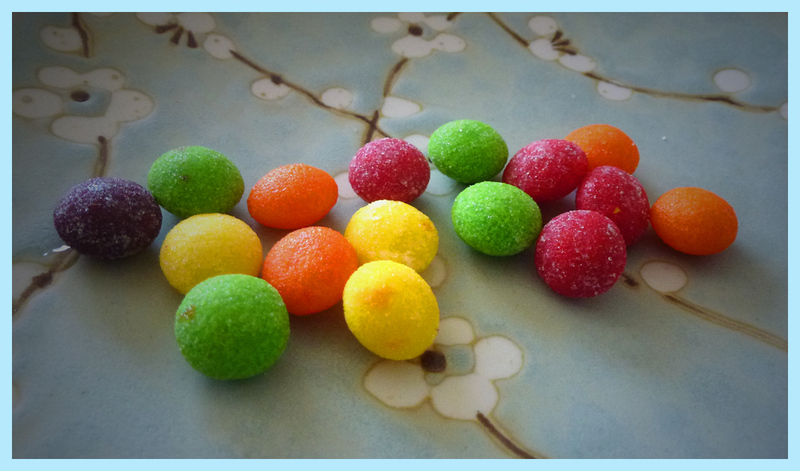 Everyone, I am sure, has eaten Skittles at some point in their lives, however, I have not tried Sour Skittles. I love sour candy and after tasting this this definitely elevated Skittles to a higher plane! The slightly sour addition to the sweet chewy candy created a much more full-bodied flavor. Thumbs up for this! 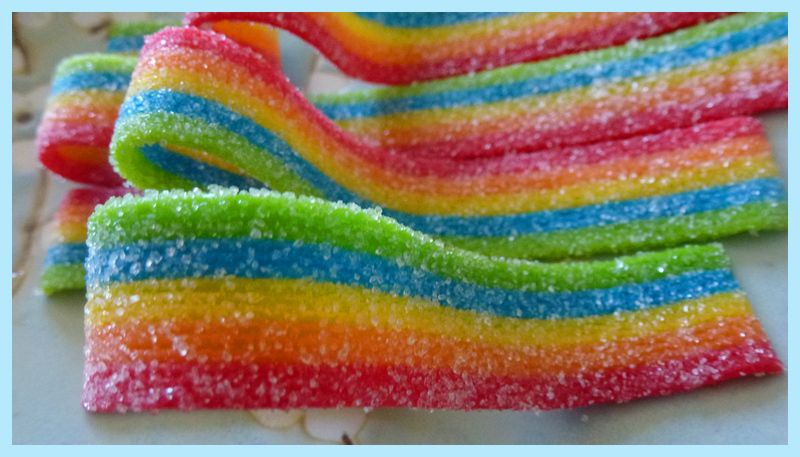 Last, but certainly not least, in my American favorites is Air Heads Extremes in Rainbow Berry. Oh! 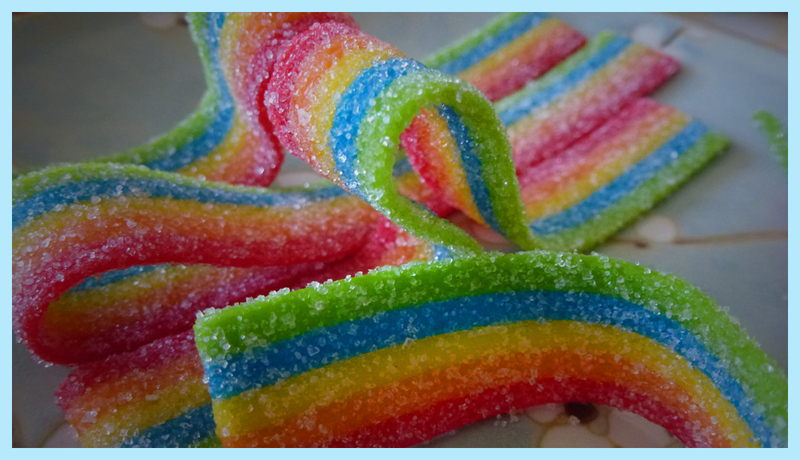 Can I mention how beautiful this candy was to photograph? Who doesn’t love sparkly rainbows? Next up are the European candy bars! 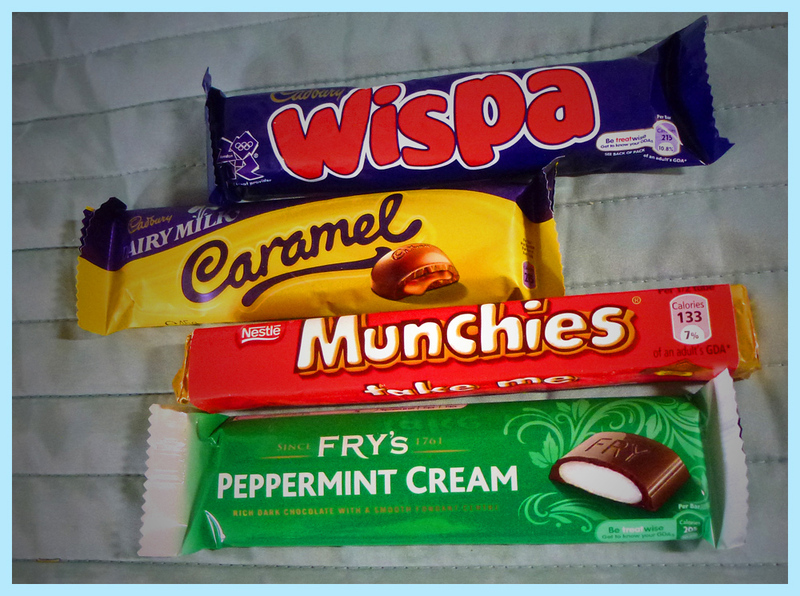 We have Cadbury Wispa, Cadbury Caramel, Nestle Munchies and Fry’s Peppermint Cream. Wispa is a milk chocolate bar injected with air. Below, you can see the air pockets within the candy bar. The chocolate is light, smooth and creamy which is typical of Cadbury chocolate. Delicious! Pick this up if you happen to come across it! Next in line is Cadbury Caramel. 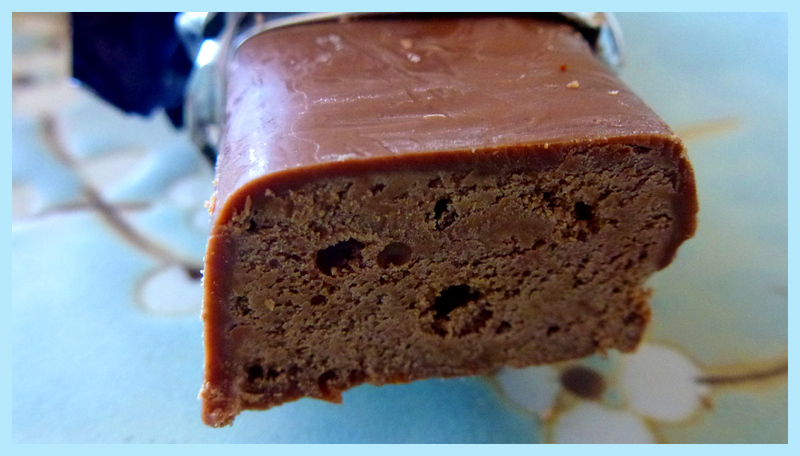 This is a milk chocolate bar that is segmented into easily pulled-apart sections. Each section is filled with caramel. This was another one of my favorites from the box! The bar had a nice, thick outer shell of chocolate covering the caramel. The proportion of chocolate to caramel was perfect.The interior caramel was equally as smooth as the chocolate. 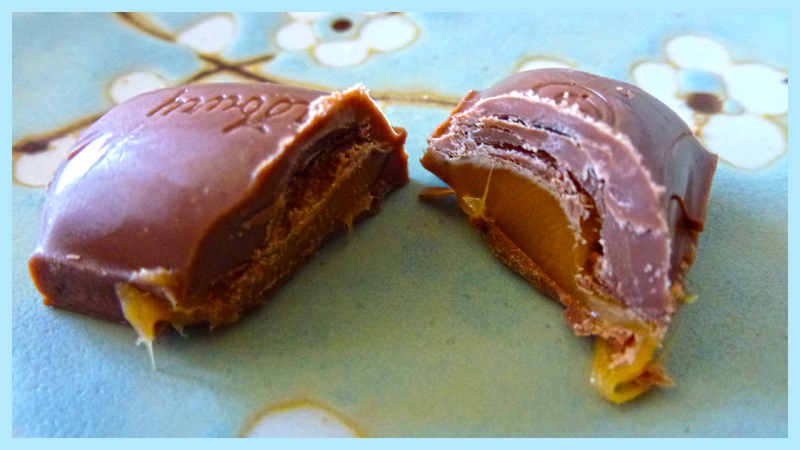 Cadbury hit a home run on this Caramel bar! Nestle’s Munchies was a chocolate bar that was completely new to me! 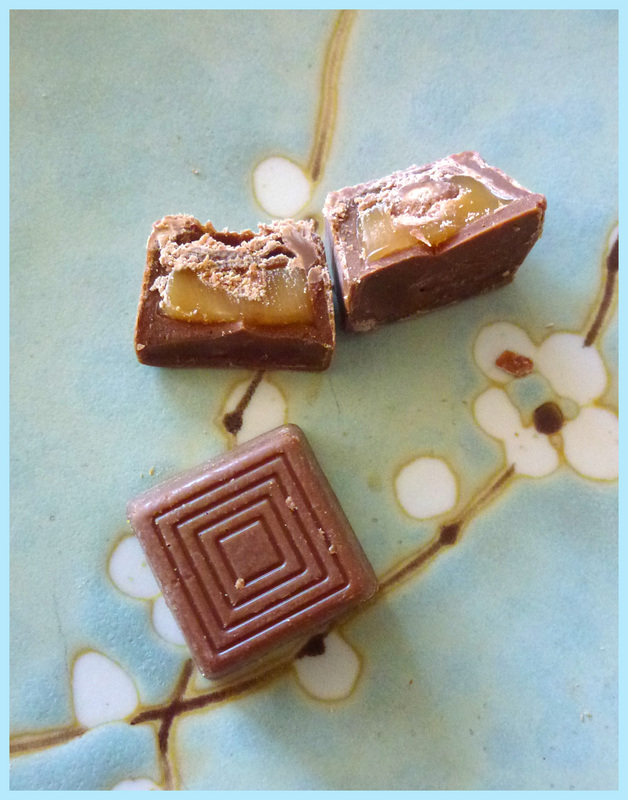 The chocolate is separated into bite-sized pieces. Munchies is similar to American Rolos with some exceptions. The Munchies chocolate was much creamier than the chocolate in Rolos. Like Rolos, Munchies has a caramel center, but with the addition of a little cookie nugget. I didn’t much care fore the cookie nugget inside because it was so small I could barely detect that it was there. To improve upon this, Nestle should up the proportion of cookie to chocolate and caramel to make it more discernible. Or, since the cookie is so insignificant, they could take it out completely. With the exception of the cookie part, Munchies is a good chocolate bar and worth a try! Fry’s Peppermint Cream is the last of the European chocolate bars. If you have eaten a York peppermint patty, this is very similar. As I mentioned above, Peppermint Cream is similar to a York Peppermint Patty, but this is far better! The dark chocolate coating the peppermint center was thick and creamy. 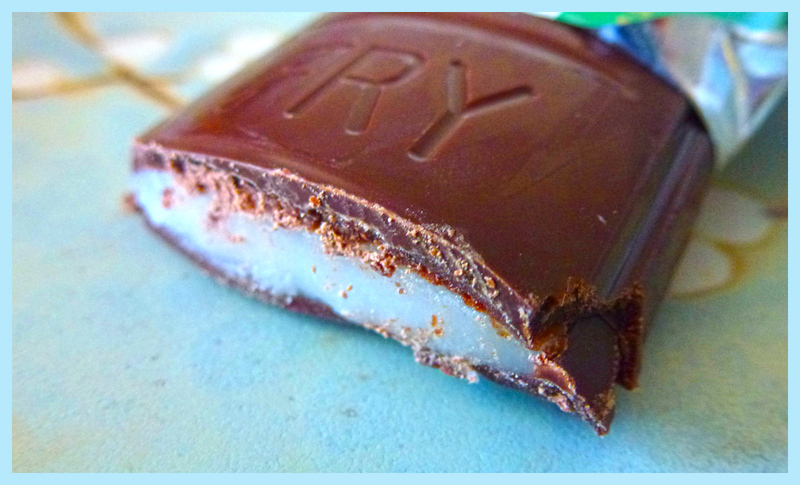 The peppermint cream in this bar is far smoother than the slightly crumbly texture of a York Patty. Fry’s Peppermint Cream was another one of my favorites and is an Irish candy. There was one savory European snack in the package and that was McVities Cheddars cheese biscuits. If Goldfish Crackers and Ritz Crackers had a child it would be a Cheddars Biscuit. The cracker had a distinct light cheesy flavor reminiscent of Goldfish crackers. 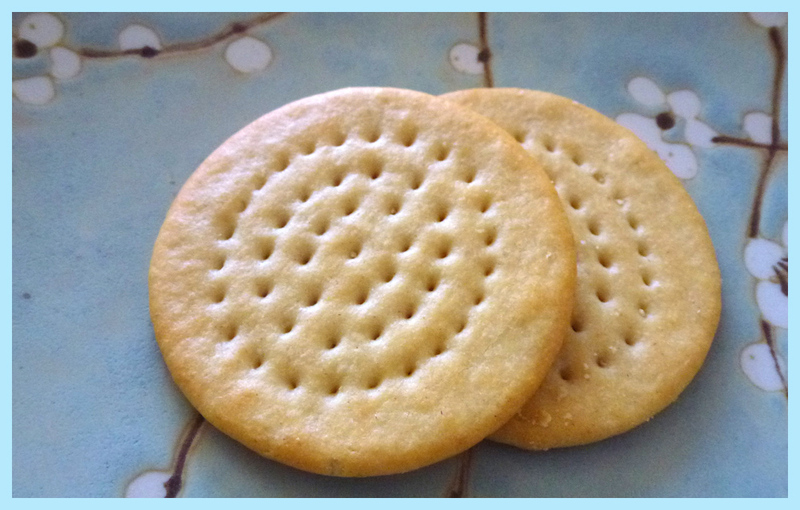 The cracker was also slightly flaky and buttery like a Ritz cracker. The Cheddars Biscuit was light and tasty! I definitely recommend it! 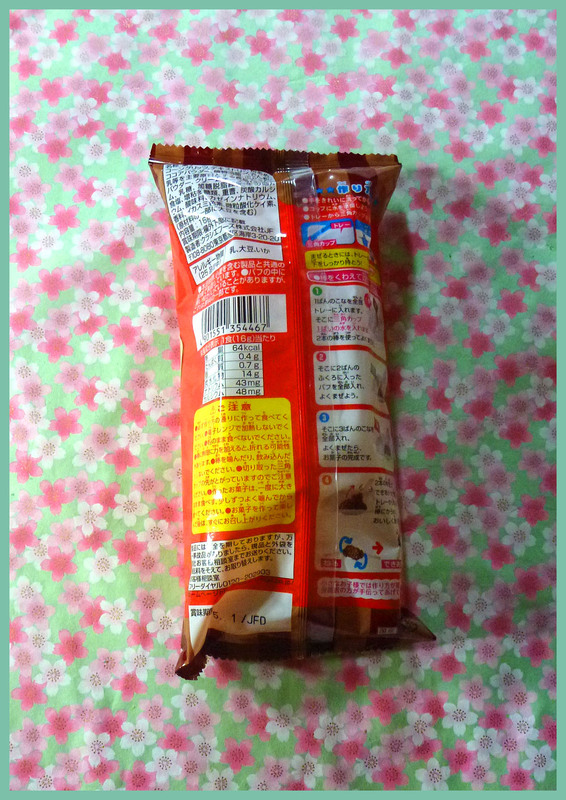 The next snack is a Japanese puff called Umaibo Stick. Oh, I wish I had taken pictures of the snack itself because it was delicious and by far my favorite savory snack in the box! You can still see an image of the Umaibo package at the top of this blog post. The snack was similar to a Cheetos corn puff and took on the shape of a giant tube. The flavor of the Umaibo Stick was curry and it tasted exactly like curry! If you love curry you will like this! Thumbs up for Umaibo Stick! 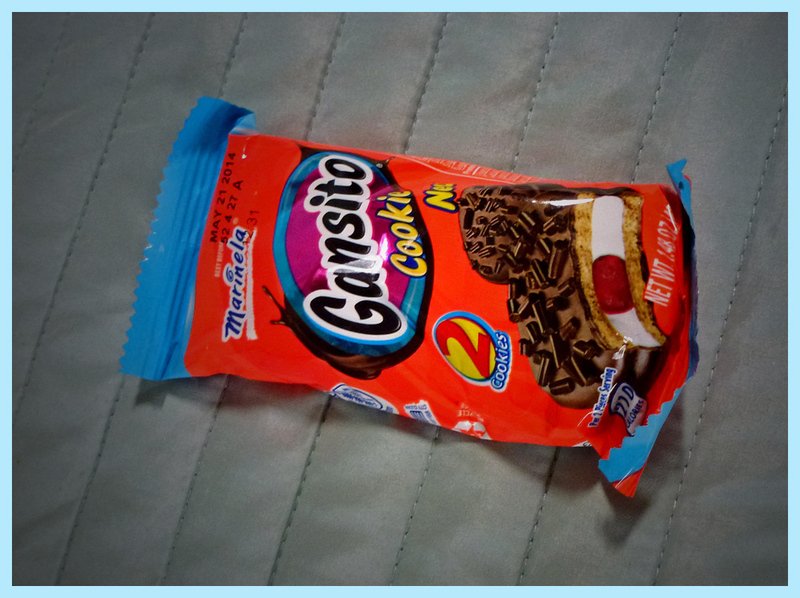 The last treat I will be reviewing is Gansito Cookie from Mexico. The vanilla cookie is coated in milk chocolate and sprinkles. The interior is filled with a vanilla cream and strawberry jam. This was actually quite good! The chocolate was creamy and the cookie had a nice crumbly texture. The cream filling was nice and light. The strawberry jam was acceptable but, if I had my choice I would have taken it out completely. The fruit jelly seemed out of place and I think this cookie would have been perfect without it. What do I think of MunchPak? I think this is a fantastic deal! If one were to purchase these items separately, one would easily spend far more than the subscription price which starts at around $8. I regularly frequent Cost Plus World Market and pick up European candy bars which each cost between $2 and $3 a piece. I could easily spend about $12 on the European snacks alone in this box. If I could give a suggestion for improvement to MunchPak I would include more Asian snacks in the package. Keep in mind, I am basing this view on the specific package I received. There could be a greater variety of international snacks in the upcoming boxes. Because I am an American, I am less interested in trying American candy mainly because it is so easily accessible to me. Though I very much enjoyed some of the American snacks, I as a reviewer am looking to try more unusual food items. Despite some of my criticisms, overall, MunchPak is a good value for your money. If you are in the market for a snack subscription, this would be a good choice. 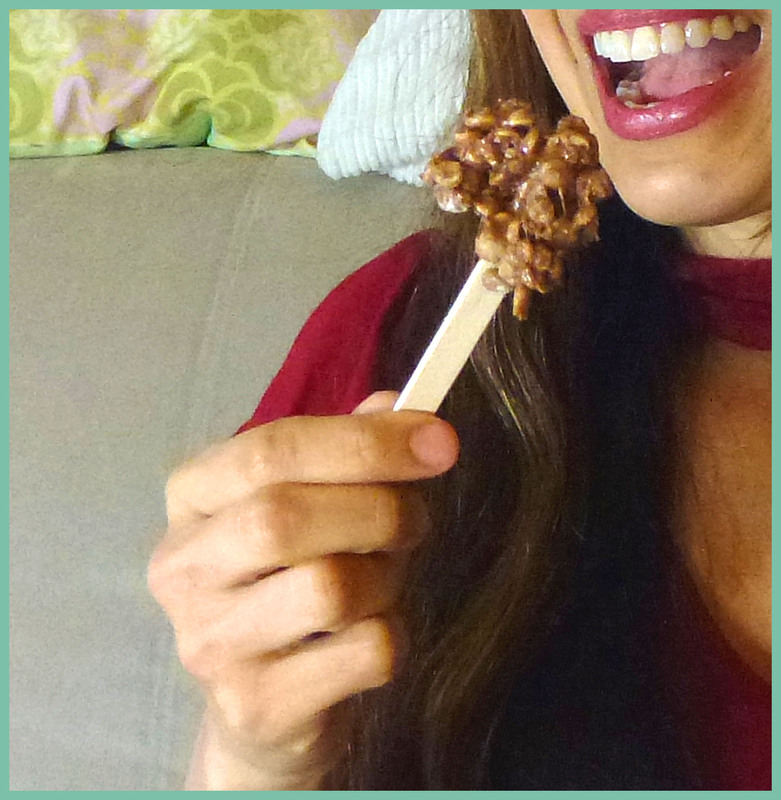 Thank you for reading my review of MunchPak! If you would like to watch my video review of MunchPak, check out the video below! I was an Illustration major when I was in undergraduate school at the Rhode Island School of Design. Even though I went on to teach and work in the jewelry industry, I still find tremendous satisfaction from the drawing process. 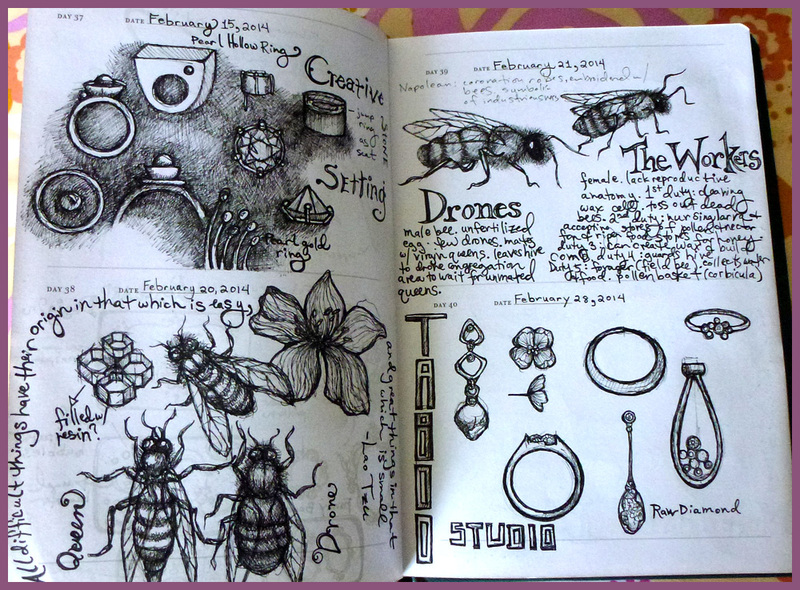 I came across this sketch book in 2012 at the San Diego Museum of Art gift shop and immediately fell in love with it! 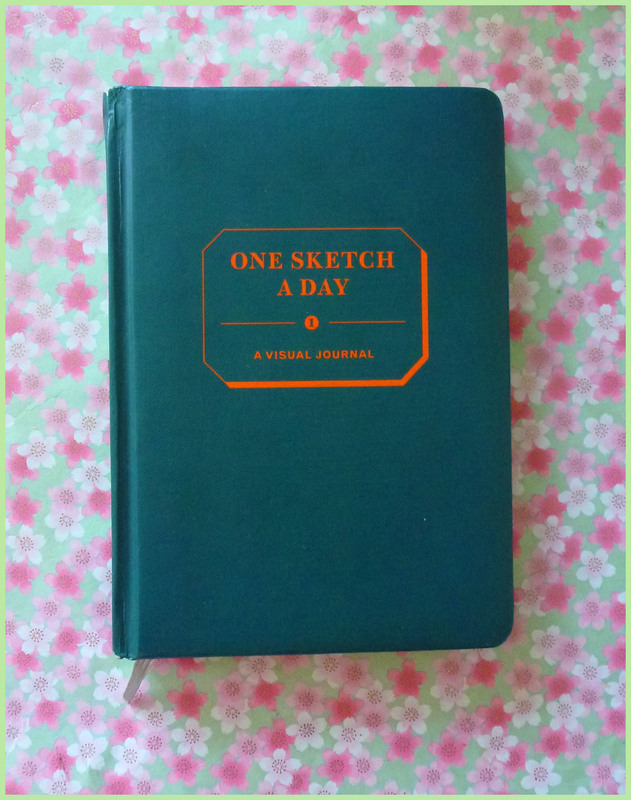 The book is called: “One Sketch a Day” and is by Chronicle Books. 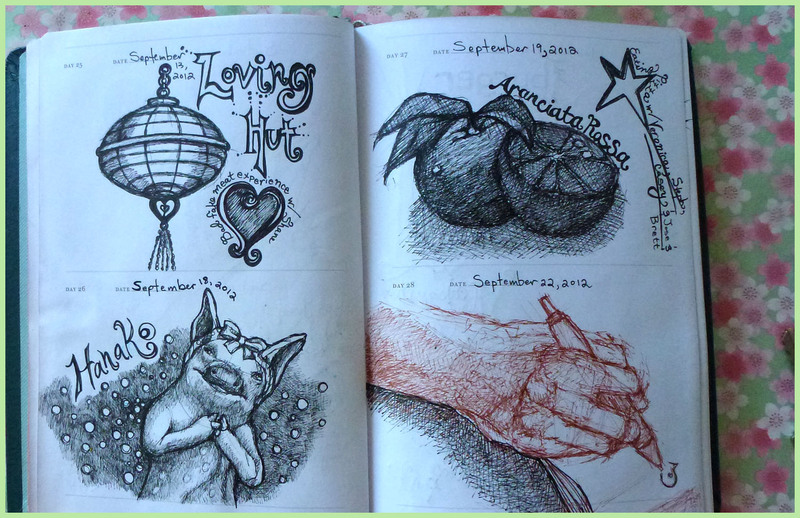 I love the sketch book’s retro styling! It has a 1950s textbook feel. In the interior, each page is divided into two sections for drawing, making it a manageable size to tackle on a daily basis. At the beginning of each section, one can write in the specific date of when the drawing was created. Good old ball point pens are also excellent to sketch with! I can build up light layers when shading that give my drawings a similar feel to those done with pencil! Below are some later sketches. 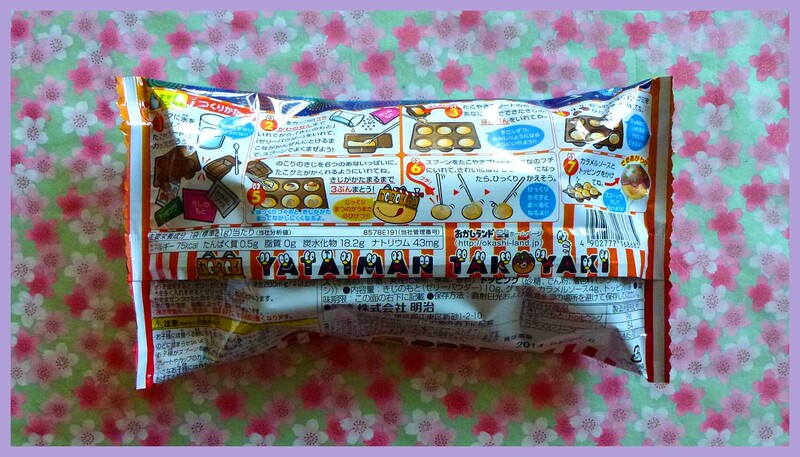 The next review in my Japanese candy adventure is Takoyaki candy by Meiji. 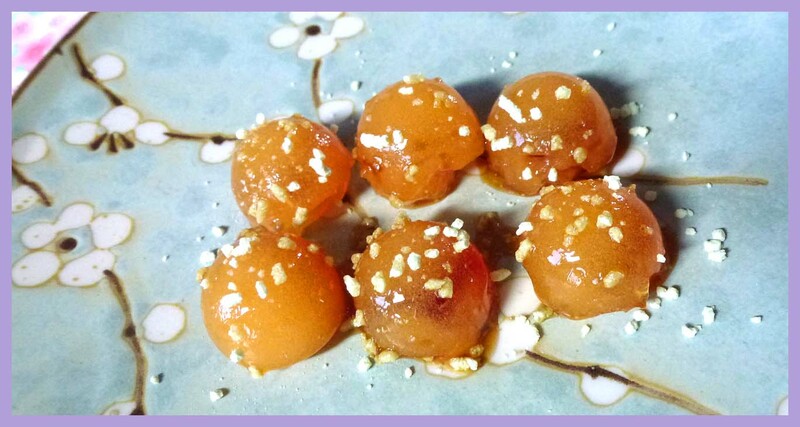 This is a candy version of the popular Japanese street food. Takoyaki is a ball-shaped dumpling made with octopus, green onions, and ginger. A Takoyaki sauce, similar to worcestershire, and mayonnaise is drizzled over the top and finally sprinkled with bonito flakes. Above is the front and back of the candy package. 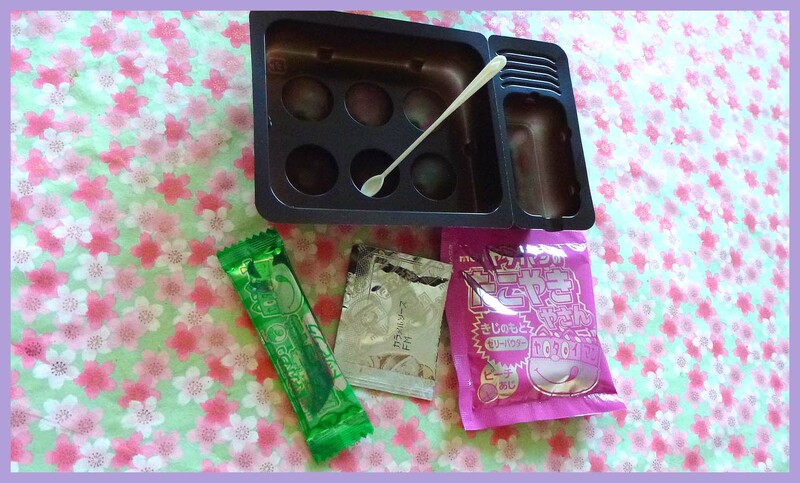 This DIY candy kit came with four packets, the cutest little white spoon and a brown plastic tray as pictured below. When mixed together, the final result was a glossy, miniaturized version of takoyaki. In the center of the candy ball, I inserted tiny little octopus-shaped gummies inside! I have to admit, this did scare me a little to taste this. 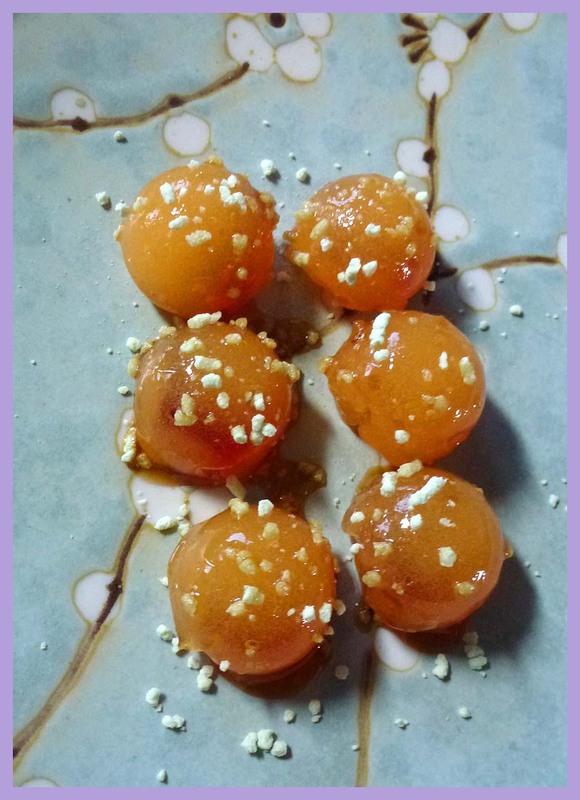 Past experience has proven that these little DIY Japanese candy kits are barely passable as edible. When I took a bite out of this, I was pleasantly surprised! This tasted like a soft peach flavored Jello! The interior gummy was firm and grape flavored which contrasted nicely with the soft gelatin exterior. The caramel sauce on the outside had a nice, slightly smokey flavor. The sprinkles were probably my least favorite part, but not terrible. The sprinkles were more airy and chalky in texture than what you typically experience from candy sprinkles. All in all, I definitely give this two thumbs up! 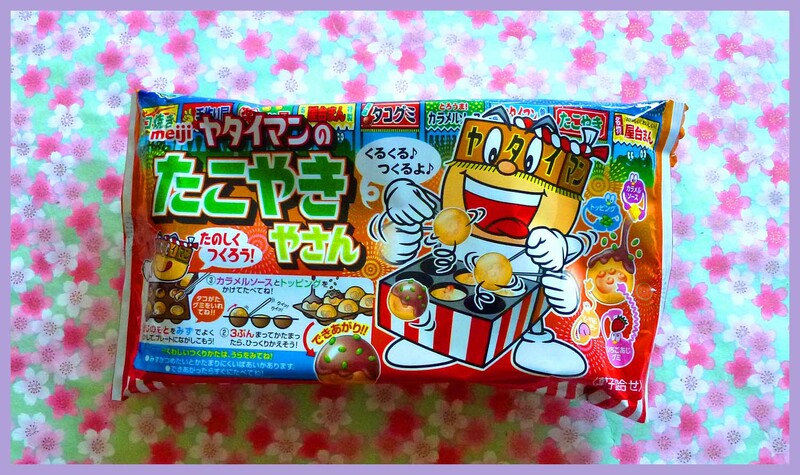 A Japanese candy kit that is both fun to make AND fun to eat?! That definitely deserves high marks! If you are interested in purchasing this candy, I received this kit from Oyatsu Cafe. www.oyatsucafe.com This was something that I picked out from their website to give my honest review. You can also check out my video review on Youtube below! A Japanese online candy company, Oyatsu Cafe, contacted me to see if I was interested in receiving some of their candy in exchange for making review videos. Obviously, I said, “Heck Yes!”. I go out hunting for bizarre Japanese candy finds all the time specifically for review, so this was the perfect match! I was able to go onto their website and pick out some candy that I was interested in and they sent it to me directly from Japan. 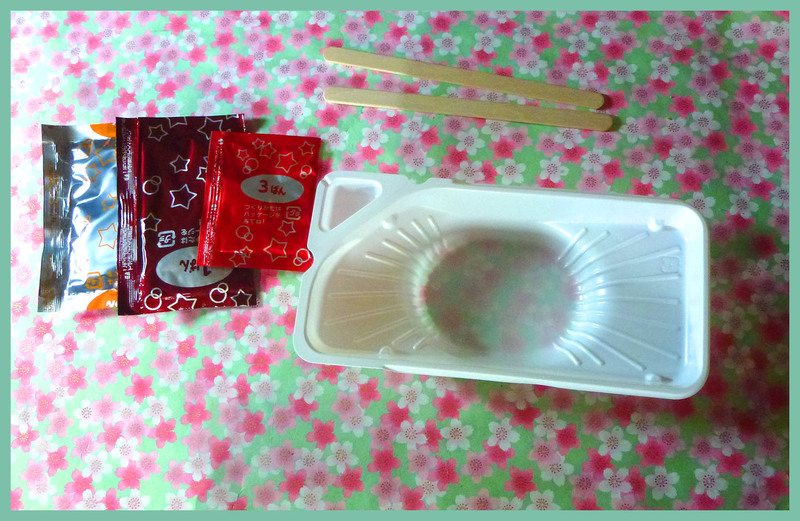 I chose to focus on picking DIY candy kits, such as Popin’ Cookin’, since I find these the most fascinating to review. The first candy I will be reviewing is Choco Neri by Kracie. Choco Neri is a DIY chocolate candy making kit. The end result is a sticky chocolate mixed with large puffed rice. The package contains three packets, a large mixing container, a measuring scoop for water, and two wooden craft sticks. You mix all three packets with a scoopful of water which forms a gooey mass of chocolate and puffed rice. Choco Neri ready to eat! I you would check out my video review on Choco Neri, check it out below! 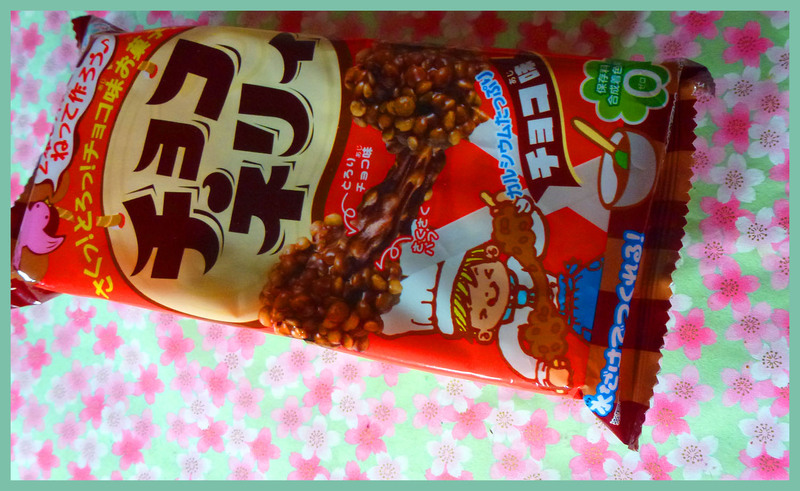 I hope you enjoyed this review and stay tuned for more bizarre Japanese candy reviews!